Bamboo is a great environmental alternative to cotton because it grows faster and can survive on very little water, managing to thrive even where erosion and desertification is taking place. Bamboo is a stronger textile than cotton, naturally absorbant, highly breathable and faster drying. 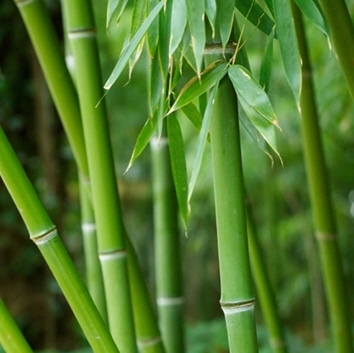 The "kun", a bio-protein formed in bamboo to protect itself from sickness, produces a fabric that is also naturally anti-bacterial.